Secured credit cards are different from normal credit cards in that they require collateral of some kind. Most of the time the collateral will come in the form of a cash deposit to the credit card company. Secured credit cards are generally for people with poor credit, credit card companies do not like to loan out money to people with a poor credit history because those cardholders generally default on credit cards at a much higher rate than the general public. You will not have to pay any extra to get a secured credit card and you will not have to lose your collateral unless you end up missing several credit card payments. If you put 1,000 dollars into an account at the credit card company you will have a credit line of 1,000 dollars in the beginning. If you make steady payments on your credit card balance and prove to be responsible with the card your credit card company may end up increasing your maximum credit line, or you can always request a credit line increase, the worst thing they can do is say no to you. Most of the time you will not be required to deposit more than 500 dollars in collateral to the credit card company to get started which is reasonable. If you need a secured credit card you likely have a bad credit score which means you have made mistakes with credit in the past. You need to ask yourself before applying for a secured credit card the following question: “Why do I want a credit card and what will I change about my spending habits to make borrowing money work this time?” If you continue to ask irresponsibly with credit with your unsecured credit card it will be even worse for you, not only will you rack up debt, you could end up losing your collateral as well. If you end up taking responsibility for your actions a secured credit card could be a great deal for you, you could end up owning a real credit card and you could raise your credit score in the process. Make every effort to pay off your balance in full each and every month so you do not have to pay interest to the credit card company, this will save your money and help out your credit score at the same time. This card from Capital One is my favorite secured credit card. You will have to pay a variable APR that can reach 23%, which is the cards biggest weakness, but outside of that there is nothing not to love about this card. 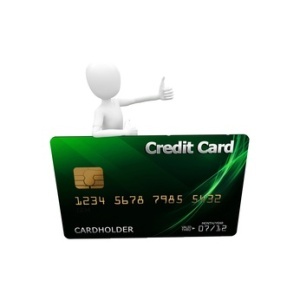 It is excellent for building your credit score and the card gets great reviews from everyone in the industry. There is just a modest annual fee of $29 which is less than the 50-100 dollars in annual fees you will have to pay for many other similar secured credit cards. Depending on your initial deposit you can get a credit line of up to $3,000! This is another solid unsecured credit card that is great for building your credit. You will pay prime + 6.5% in APR which is about what you should expect to pay with an unsecured card. There are no credit checks for this card which means if you apply you have an excellent chance of being approved. The only negative about this card is that it charges 50 dollars in annual fees each year which is a little high, however it will be worth it if you are able to raise your credit score and turn your financial situation around. This is a Bank of America Secured card. Your initial security deposit can be anywhere between 300 and $10,000 dollars so they are catering to everyone. After 12 months your account will be automatically reviewed, if it is determined you did a good job with the credit you were given you will be able to upgrade to an unsecured card and you will get your deposit back, this is my favorite aspect of this card and it is a feature almost no one else offers. APR is variable but you should expect to pay around 20% which means you need to pay off your balance in full each and every month to save hundreds or thousands of dollars in interest over time.